Sightsavers finished its work in Sri Lanka in 2016, after more than 20 years in the country preventing avoidable blindness and promoting social inclusion. Sightsavers has worked in Sri Lanka for more than 20 years and in 2016 we reached an exciting milestone: we were able to leave the country because our work was done. It’s the first time we’ve been satisfied that the eye care services we’ve set up and supported in a country can continue without us. We’re proud that our contribution means people in Sri Lanka will continue to benefit from our eye health work into the future. 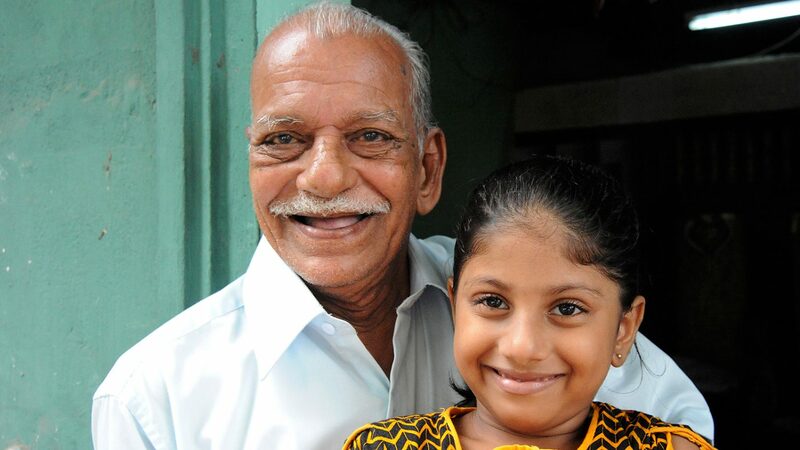 I was very worried about the cataract operation, but now I can see everything – even my granddaughter. I’m so happy! “The fact that we are able to move on, leaving behind a sustainable programme, is testament to the work of the Sri Lanka country office and our partners. 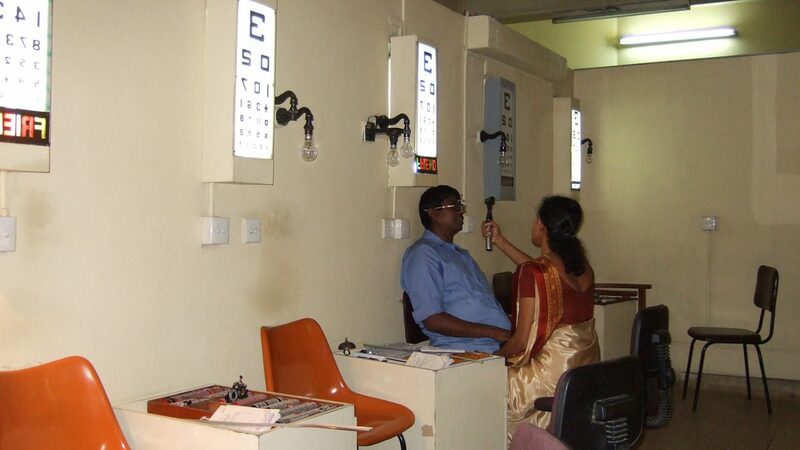 When Sightsavers started working in Sri Lanka, eye care services in the country were limited. Although the country has a free health services, there wasn’t a coordinated effort to prevent eye disease, perform cataract operations or make eye healthcare easily available for those who couldn’t afford it. 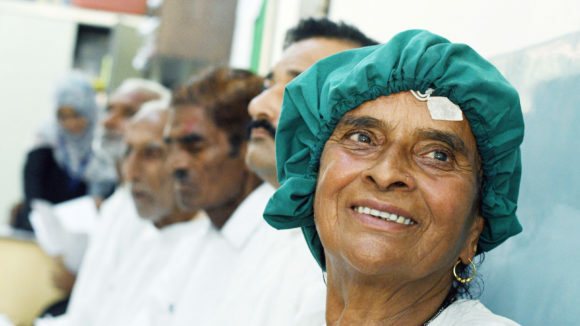 Sightsavers filled the gap; we supported eye care training in the central Kandy district and gradually our support expanded, setting up eye units across the country and opening a dedicated country office in 2005. Dr Palitha Mahipala, Director General of Health Services at the Ministry of Health, described Sightsavers as the “backbone” of Sri Lanka’s Vision 2020 programme, a global initiative that aims to eliminate avoidable blindness by 2020. 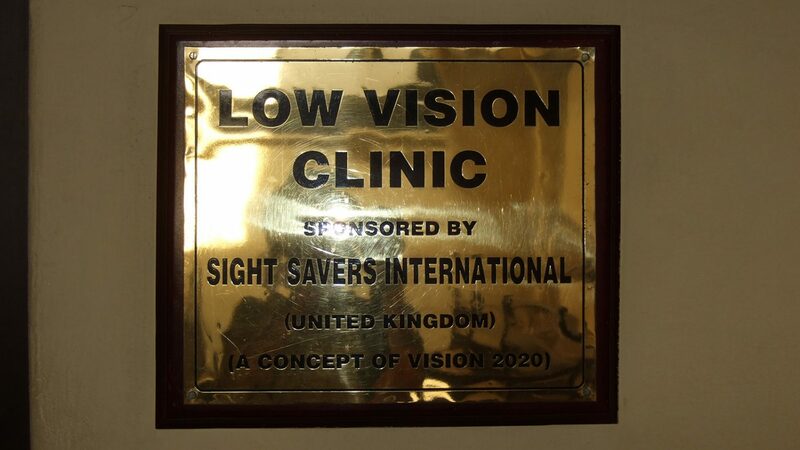 To make sure two of our programmes, Primary Eye Care and Low Vision, were able to continue after our departure, we embedded them into the local health system. These programmes trained teachers how to screen children for eye diseases, raised awareness of eye health in communities and examined more than 358,000 people for eye diseases. Teams in the UK, Delhi and Sri Lanka worked together to plan our departure from the country. We made sure our partners were trained in fundraising, were able to prepare project proposals and those staff who were leaving us were fully supported. This has given us a solid model to help us plan our exit from other countries as we continue our work across the world. We helped to distribute more than 50,000 pairs of spectacles across the country. At first, many children didn’t want to wear them, but this changed when we encouraged them to choose their own frames. 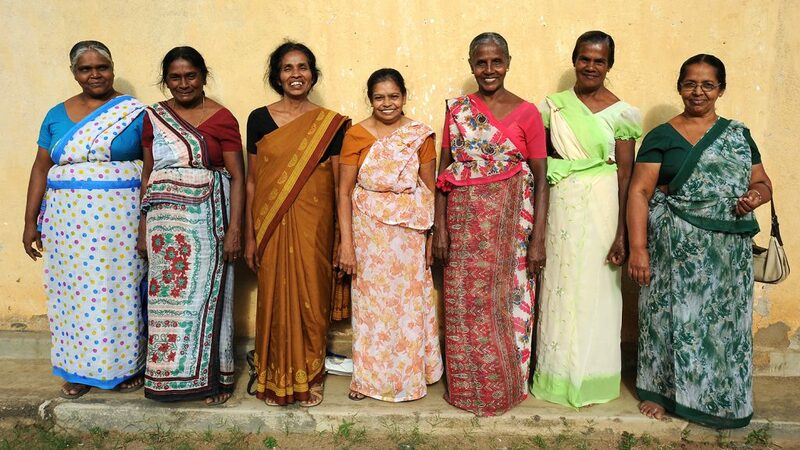 To empower people with disabilities in Sri Lanka, we provided livelihood and vocational training, and offered support to help them understand their rights so they are able to participate equally in society. 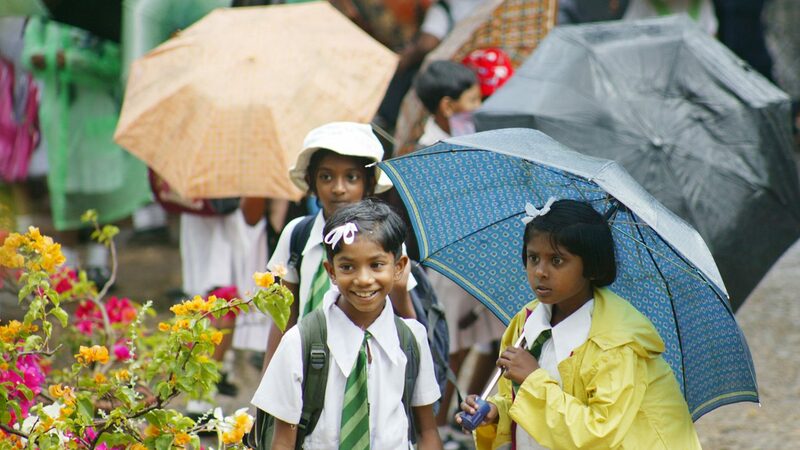 We led Sri Lanka’s first national survey on visual impairment and disability. The results identified the number of people with visual impairments, and provided valuable data for eye health programmes. Four-year-old Tharushi (centre) was screened for refractive error by her teachers at Kuruwita Preschool, and was referred to the local hospital for treatment. 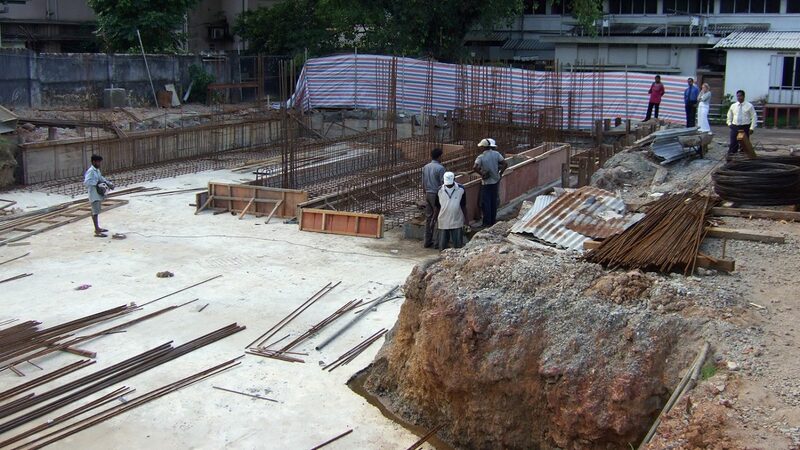 We helped to build Sri Lanka's first paediatric eye unit, at Lady Ridgeway Hospital in Colombo. At Seethadev Balska Vrdyalaya school in Kandy, blind students are able to learn alongside their peers as part of our work to promote inclusive education. A patient has his eyes tested as part of Sightsavers’ Low Vision programme at Kandy Hospital. A nurse screens children in the playground of a school in Colombo. 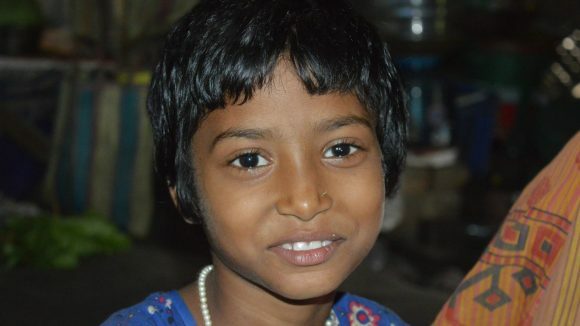 Children are then referred for further treatment or given spectacles. 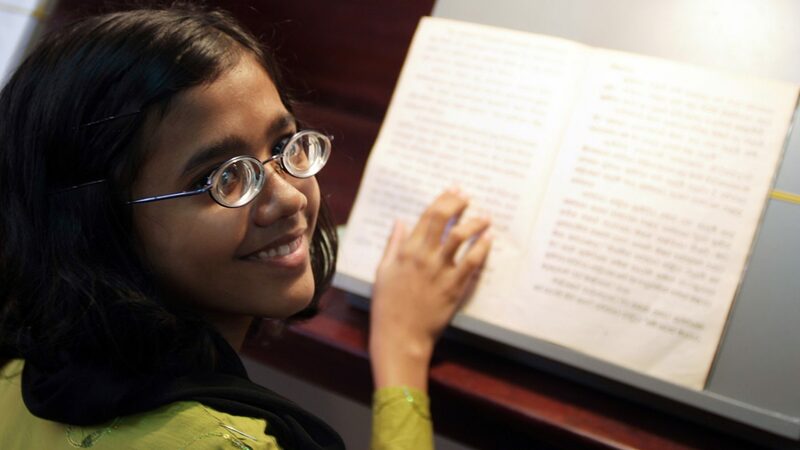 14-year-old Zaithun struggled to see the blackboard at school, but a low-vision clinic has supported her and helped her to learn. A young girl after her cataract operation at the Low Vision Unit at Colombo Eye Hospital. 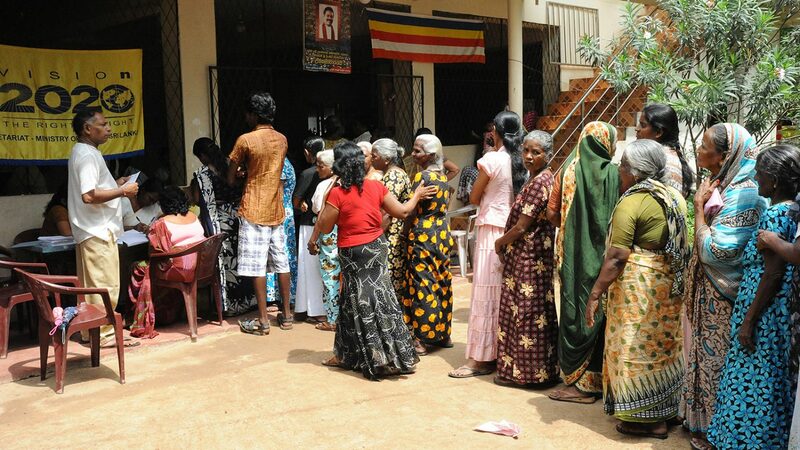 People queue at a community eye screening in one of Colombo's more deprived districts. 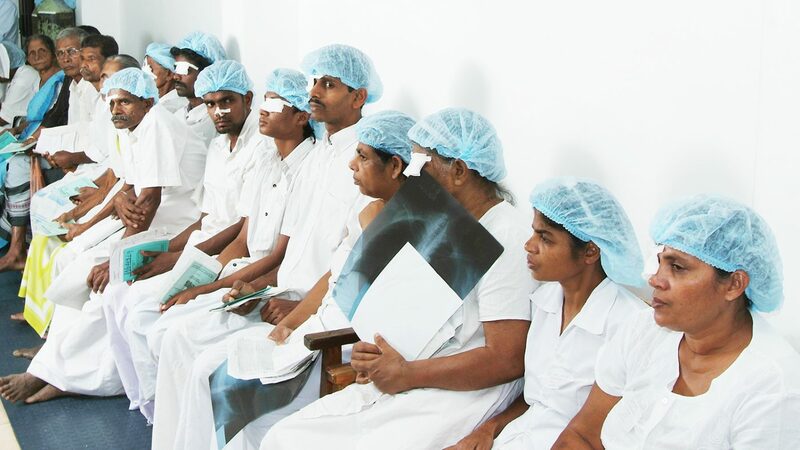 Cataract patients at the Centre for Sight in Kandy Hospital. 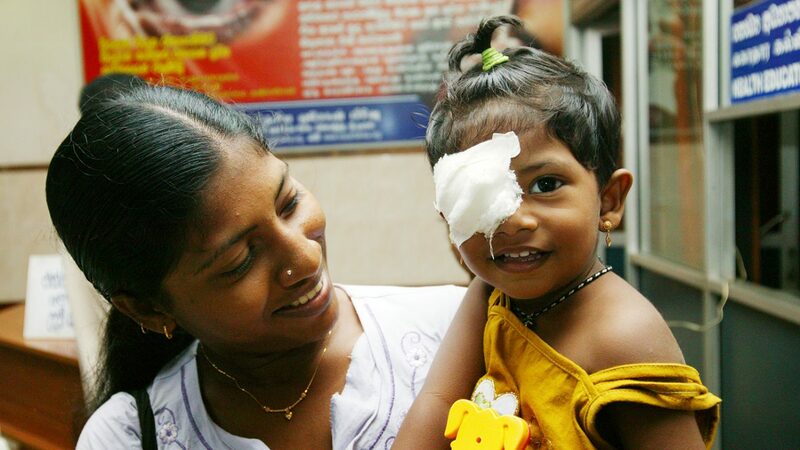 As part of our work in Sri Lanka, we helped to launch low-vision clinics to provide eye care across the country. 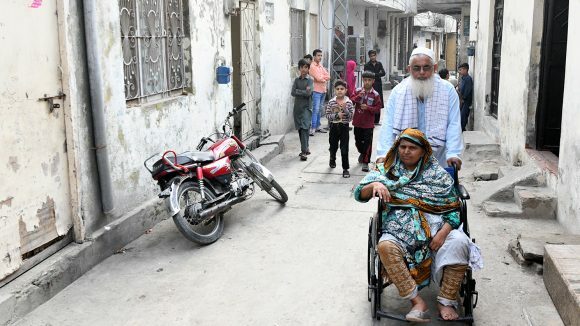 In Pakistan, we work with disabled people’s organisations to ensure our new eye health programme is inclusive and accessible for people with disabilities. Sightsavers’ Charity Dandak reflects on our achievements through the Seeing is Believing programme, and highlights the challenges we still face to tackle avoidable blindness. 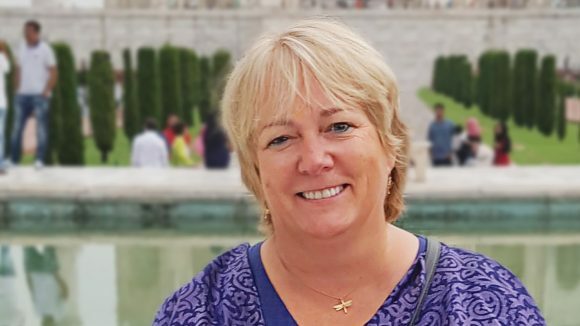 In Pakistan, Ulrica Hansson learns how Sightsavers’ Right to Health programme is transforming local health care so people with disabilities are no longer excluded.